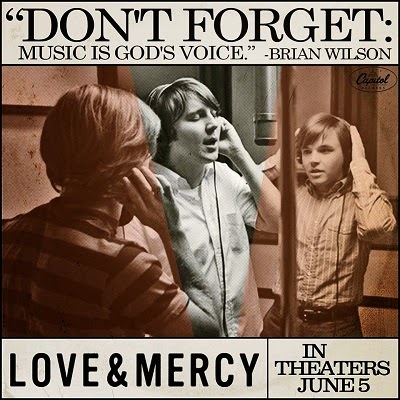 In the spirit of Bill Pohlad's choice to cast two actors to portray Beach Boys' visionary Brian Wilson in Pohlad's winning biopic Love & Mercy (2014) [official site], two Evening Class correspondents wrote, in effect, similar hold review capsules in anticipation of the film's June 5, 2015 release. 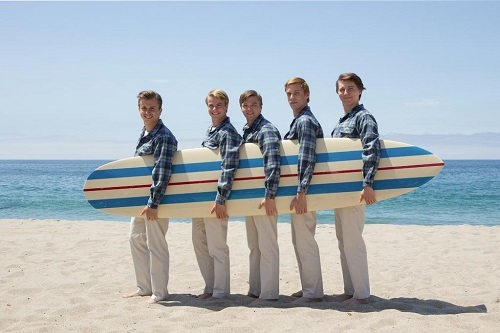 I noted that Pohlad's marquee presentation of Love & Mercy emerged from the surf as my favorite film of the 58th edition of the San Francisco International Film Festival (SFIFF). I watched it twice at SFIFF and anticipate catching it yet again come Friday. An ingenious revamp of the biopic genre, Love & Mercy profiles Wilson through Oren Moverman's tried-and-true narrative device of dividing representation among multiple actors; familiar to fans of his screenplay for the Bob Dylan biopic I'm Not There (2007), and similarly effective in Love & Mercy. A lookalike Paul Dano (as the youthful Wilson) and John Cusack (as Wilson in his later years) embody Wilson with ranged experience; but, the real discovery here is the Oscar®-worthy supporting turn of Elizabeth Banks as Wilson's love interest who remedies the film's narrative plight with humor and a fierce heart. 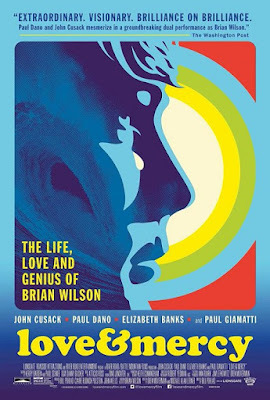 Michael Hawley added: "My favorite film of the fest by far was this transcendent biopic of the Beach Boys' troubled genius, Brian Wilson. Starring Paul Dano and John Cusack as the younger and older Wilson, the film alternates emotionally interlocking vignettes set during the mid-60's creation of his masterpiece LPs, Pet Sounds and Smile, with those of Wilson in the early 90's, a broken man subjected to the dictatorial control of his evil psychiatrist Eugene Landy (an effective Paul Giamatti). A shortlist of Love & Mercy's highlights would include the opening montage of early Beach Boys iconography, the lovingly recreated recording sessions (especially of "Good Vibrations") and the phenomenal sound design that conveys the explosion of musical ideas coursing through Wilson's overheated brain. The movie's revelation, however, is the achingly heartfelt performance by Elizabeth Banks as Melinda Ledbetter, the Cadillac saleswoman who selflessly comes to Wilson's emotional rescue. To my surprise, a review of her extensive IMDb credits tells me I've only seen one other Banks performance—as Laura Bush in Oliver Stone's W. (2008). You heard it here first; she's the supporting actress to beat comes 2015's year-end awards season." 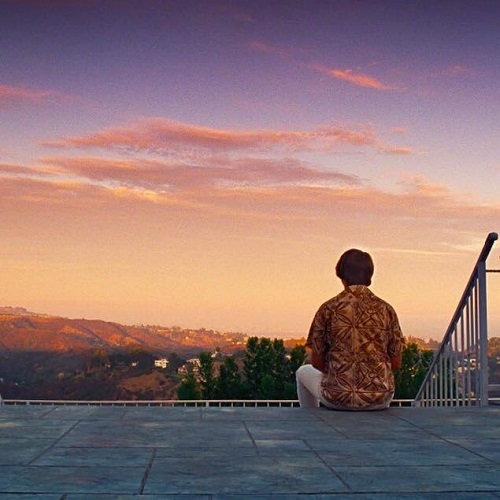 Michael Guillén: Along with the beautiful harmonic music that Brian Wilson was creating, I was equally struck by the dissonant compositions created for your film to represent Wilson's chaotic state of mind. Can you speak to how you constructed those compositions? Bill Pohlad: Yeah, I mean it's one of my favorite parts of this project if I'm being really honest. Once I got to know Brian, and tried to understand what he'd gone through—what he goes through even now—trying to portray that and communicate that in a movie was a big challenge, but an exciting one. Part of Brian's condition is that he suffers from hallucinations, but they're not visual, they're auditory. He hears these incredibly complicated arrangements, orchestrations and harmonies that nobody else can hear and/or understand. He can't stop them or turn them off. That was always intriguing to me as both a blessing and a curse. Cinematically, of course, you can always fall back on some visual representation of those hallucinations, but that's not what he experienced. It was a challenge to figure out how to represent what he experienced. For me, the first thing that I struck on was "Revolution No. 9" from The Beatles "White Album" as a way to figure out a dissonant soundscape and so I passed that on to Atticus Ross and he caught onto that right away and ran with it and did an amazing job bringing that to life. In his on-stage conversation with Pohlad, SFIFF programmer Rod Armstrong asked about the decision to cast two actors to portray Brian Wilson, effectively resulting in "a duet between Paul Dano and John Cusack." He wondered if the idea of using two actors had always been in the script? Or did that decision come at a later date? And how did Pohlad decide upon which two actors to cast? Pohlad confirmed the idea had been there from the beginning. A script had been circulating that conveyed a more conventional narrative but—once he became involved—he decided to start over. He wanted to find a more intimate way to create a portrait of Wilson where they wouldn't be tied into telling every linear beat of a conventional biopic. He wanted the narrative to be more interwoven. The progression of that idea was to have two different actors playing separate roles, which just seemed more interesting creatively but would also reflect where Brian had been, and what he had gone through, so that was how he developed the script with Moverman. 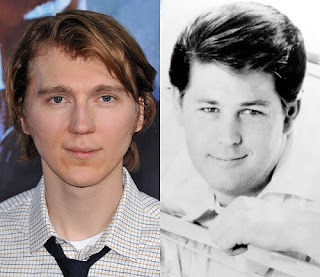 As for deciding upon the actors, Paul Dano was an easy choice and at the top of the list when they were talking about the earlier period of Brian's life. When he cast Dano, Pohlad didn't know if he could even sing or not; he just seemed so right for the role. He had a feeling that maybe he could sing but, just to be sure, they sent Brian's musical director out to New York to meet with Dano and, within 45 minutes, they received a video back from him about how excited he was that Dano could—first time through—hit all the notes and do such a fantastic job. Casting what they called "Brian Future" was a bit more difficult because of how Brian changed and all he went through in the '80s. 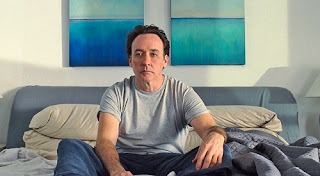 A lot of people come up to Pohlad now and say that Paul Dano looks exactly like Brian did in the '60s but John Cusack doesn't; but, actually, in a documentary that was made in the early '90s there was an opening shot of Brian where he looked just like Cusack. Cusack does resemble him at that period; but, the goal was never to do imitations with either of the actors. Was there any issue, Armstrong asked, with the music rights? 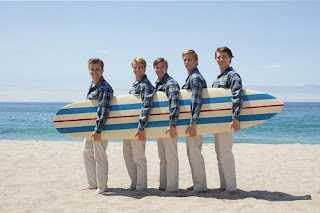 Were Brian, Melinda, and the other members of the Beach Boys forthcoming? Brian and Melinda were on board early on, Pohlad answered, and when he sat down to talk to them about the new narrative approach to the script, they grew even more enthused. They became great partners in making the movie. Whenever you make a movie about real people, Pohlad cautioned, you run the risk of having them constantly looking over your shoulder to say, "I was funnier than that." But Brian and Melinda were great about just letting them tell the story as they needed to, but would be there to draw on when required, to make sure they were being true to the story. It was not so easy with the rest of the group. Both Dennis and Carl Wilson had, unfortunately, passed away by that point, and Mike Love and Al Jardine were around for part of the shooting, but it had pretty much become the decision to tell the story from Brian's point of view by way of the two actors. It's all in the eye of the beholder, of course, but Mike often gets seen in a negative light by the media; but, Pohlad doesn't see him that way and really hoped that in the film he wouldn't come across as just a negative guy. Love was a human being who had a great thing going and didn't want to change, and there's nothing really wrong with that. He didn't want to celebrate Brian's kind of groundbreaking creativity that wanted to go off and try new things; but, that doesn't make him better or worse than anyone else and he had a certain right to want to stick to the plan. Pohlad made a special effort not to make him come off as a villain. Asked by an audience participant if Dano and Cusack had a chance to confer about their separate portrayals to sustain a continuity of Wilson's character, Pohlad said they had the chance but he never encouraged them to do so. 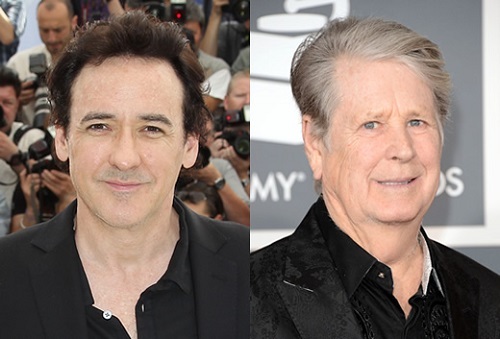 He directed both of them and encouraged them to find their own Brian Wilson. The continuity resided in his direction and he didn't want them to feel that they had to coordinate their portrayals through facial tics or shared movements. They both found their own independent and organic way, both inspired by Brian himself. Dano didn't even meet Brian until the first day of shooting and, even then, didn't spend much time with him, whereas Cusack did spend more time with Brian. Asked by another audience participant if Stanley Kubrick's 2001: A Space Odyssey directly influenced the later scene where Brian is lying in his Malibu bed reflecting back on his childhood, Pohlad hoped that wouldn't be an unfair reference. The process of writing a script and then bringing that script to completion in a film doesn't always work the way a filmmaker initially intends. The intention was to do a three-act structure with the first act being from the young Brian Wilson's point of the view, the second act from Melinda's point of the view, and the third from Future Brian's point of view. When he first started talking to John Cusack about the role and showed him the script, Cusack wanted to know where the scene was where he got to punch Landy out. 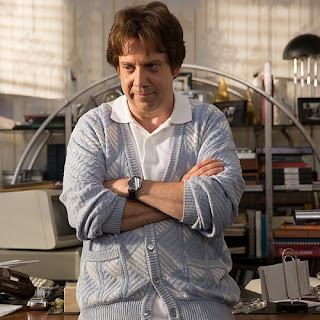 That's a natural reaction from an actor playing a character in a script; but, Brian Wilson himself was a childlike guy and would never do such a thing. It turned out that Landy was pulled away from him by his family, by Carl and by Melinda. However, to come to some kind of resolution in the movie, the first and second acts intertwine the young Brian and Melinda's points of view, and the idea of the third act was that you go to Brian Future's point of view and have some kind of catharsis. But he doesn't arrive at a catharsis through a dramatic film conclusion. Brian Future's point of view is an awareness that everything that has happened to him—good and bad—is what has made him who he is; it's all a part of him. That awareness is the only true resolution. That Brian as the abused kid, and then Dano's Brian, both end up in the same bed with him is a visual reference to Brian Future's awareness and acceptance of his own life. Throughout the film, one audience member observed, there were visual representations of iconic album covers and familiar TV footage. He was curious how Pohlad—after sifting through the archival material—settled on which imagery would provide historical and emotional veracity? Pohlad credited his collaboration with Oren Moverman in developing the script. Moverman was more versed in the Brian Wilson minutiae. Pohlad grew up more as a Beatles fan than a Beach Boys fan. Moverman did an amazing job of sorting through all that material and as the project progressed it became a balance of satisfying all the Beach Boy fanatics as well as telling the story. Truthfully, there were many people who wanted to be involved with the project, either with the music or the writing, but they were such Brian Wilson fanatics that Pohlad feared they would not have the objectivity necessary to tell the story. One of the aspects he most enjoyed replicating were the recording sessions for the "Pet Sounds" album. He'd heard about the sessions but didn't really get into them until a few years ago so he was keyed up for filming that part of the story and of creating a behind-the-scenes look at the making of such an important album. The first big thing was that they shot in the actual studio where Brian recorded "Pet Sounds." It hadn't changed much and there was a palpable spirit of place. It was amazing to shoot there. They hired real musicians to play The Wrecking Crew and they didn't rehearse. They just had them come in, gave them the material, and they played. 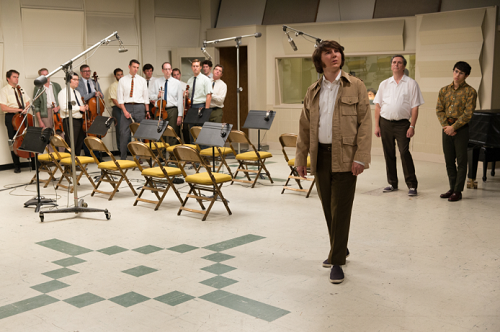 Paul Dano had studied the "Pet Sounds" sessions by that point so he knew Brian's cadence and how he behaved in the studio. They just let him go at it and they had two 16mm cameras shooting in the room and shot it literally like a documentary as they progressed through these songs. It was a magical time. The cast, the crew, the musicians, all of them were being able to live this for two to three weeks in that studio. The next question from the audience concerned the validity of the portrayal of Dr. Eugene Landy. It appeared that Brian Wilson was his only patient? Was he really that demanding and demonstrative? What was his diagnosis of Brian's condition? First of all, Pohlad responded, as a filmmaker you want to treat people fairly and Dr. Landy, unfortunately, is one of those characters who's very polarizing, mostly towards the negative. Pohlad couldn't find a lot of people who had good things to say about Landy and, unfortunately, he was not around to speak for himself. Nonetheless, Pohlad still wanted to be fair. He didn't want to make a movie where a character is one-dimensional. That being said, Dr. Landy did everything that was shown in the movie, plus more. Again, Brian is a pure and child-like guy and if you were to ask him, he would be the first to say, "I wouldn't be alive if it weren't for Dr. Landy." But, at the same time, the first time he saw the movie he told Pohlad he was treating Landy "overly nicely." So there was a bit of a conflict there. He had other patients before Brian Wilson—he had treated Alice Cooper, the actor Gig Young, and a number of other celebrity patients—but then his whole life (and practice) became wrapped up in Brian. As for Brian's final diagnosis, what the UCLA doctors finally decided was that Brian suffered from what is called schizoaffective disorder and you don't treat schizoaffective disorder like you do schizophrenia, which is what Landy was doing. All those years he was overmedicating Brian with anti-schizophrenic drugs, which did him more harm than good. Once the UCLA doctors got that reversed, Brian began to improve. 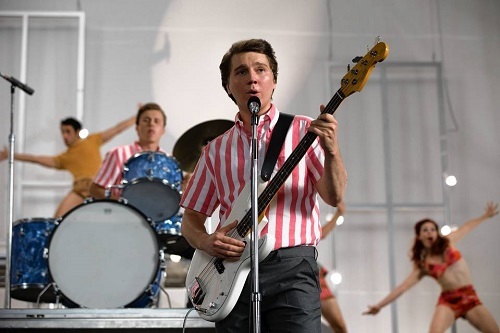 Love & Mercy opens in Boise at The Flicks Friday, June 5, 2015. In the Bay Area it opens in the East Bay at Landmark Cinema's Shattuck and Piedmont venues. Surprisingly, it's only opening at the CinéArts @ Empire in San Francisco proper. I have to trust it will roll out to other venues in the near future?